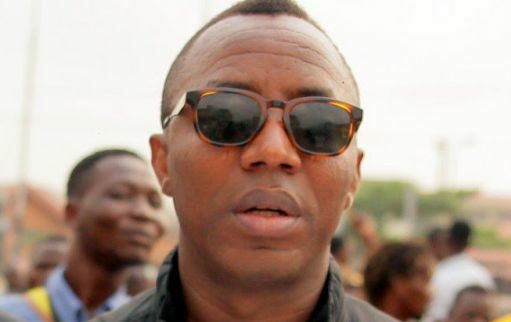 The Nigeria police on Monday again invited the publisher of Sahara Reporters, Omoyele Sowore, to a meeting on Thursday with the Deputy Commissioner of Police in charge of the State Criminal Investigations Department(SCID) in Lagos. The invitation, which came as text message, did not disclose the purpose of the meeting. It merely invited Sowore and his colleagues to meet with the police authorities for an interview at 10a.m at the SCID headquarters in the Yaba area of Lagos. According to PT, Sowore was on January 9 physically assaulted in Lagos by one Lekan Fatodu over a report by SR detailing how Mr. Fatodu was allegedly used as a front by Femi Fani-Kayode to corner public funds through the office of the National Security Adviser, Sambo Dasuki. When Sowore was brought before Fatai Owoseni, Lagos Police Commissioner, the police claimed a petition alleging criminal libel had been submitted by Mr. Fatodu against Sowore. The following day when Sowore arrived at SCID, the police were more interested in “mediation”, asking Sowore to meet Mr. Fatodu to resolve their differences. Sowore refused, saying the police had been dishonest in the handling of the case. His attorney, Femi Falana, on January 12 issued a statement saying the allegations of threat to life, criminal libel and extortion stated in Mr. Fatodu’s petition were false. A few days after Sowore’s release, a new dimension arose when a lawyer, Ugochukwu Osuagwu, issued a statement claiming Sowore was barred from leaving Nigeria over Mr. Fatodu’s petition. Mr. Osuagwu is the same lawyer who, in January, addressed a petition to the police on behalf of the Chief of Army Staff, Yusuf Buratai, which led to the arrest of two Premium Times journalists a few days after Sowore was attacked and arrested in Lagos. The continued police harassment of Sowore and other journalists has attracted condemnation by press freedom bodies across the globe. Mr. Sowore told our reporters he plans to honour the invitation of the police on Thursday, an event which coincides with his birthday.